Home Editor's choice According To Mother Russia, It’s Not Happening, The Nazi Ukraine Junta Ditching The Minsk Plan Will Only Bring The Demise Of The Kiev Regime Once And For All ! According To Mother Russia, It’s Not Happening, The Nazi Ukraine Junta Ditching The Minsk Plan Will Only Bring The Demise Of The Kiev Regime Once And For All ! 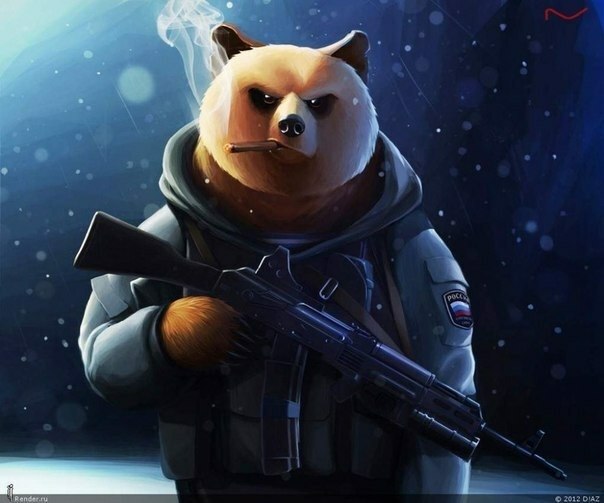 Russia ready to eat Ukraine and NATO for lunch ! You had to know it would not be long before Russia blew out an aorta over the absolute flood of non sense coming out of Kiev about changing the ATO to martial law and how it would not violate Minsk, especially since Kiev has been demonstrably in violation of Mnsk non-stop for three years now. The Kiev Poroshenko Administration is a walking violation of Minsk and now Russia is happy to tell you this also. “At today’s meeting of the contact group, the participants could not ignore the bill of the National Security and Defense Council of Ukraine to reintegrate Donbass. According to the available information, this bill being worked up in Kiev is aimed at creating an alternative to the UN-approved Minsk agreements,” Gryzlov told reporters in Minsk, as reported by Interfax-Ukraine. He asserts that the bill does not provide for granting special status to Donbass, which is “in force through Steinmeier’s formula,” amnesty and elections.Nor does it explain still under point 10 of Minsk, how and when every last American and NATO soldier is leaving the territory of the Ukraine. “In other words, this bill does not provide for a comprehensive political solution to the problem. Instead of a political solution, emphasis is placed on a military one,” Gryzlov said. “This is not acceptable and dangerous,” he again stated. Ukrainian authorities are developing a law on de-occupation of Donbass, which will abolish the regime of the antiterrorist operation (ATO). The text of the bill is not yet available; however, according to the authorities, the document recognizes the uncontrolled territories as occupied by Russia and will introduce a new legal regime to protect the country from a hybrid war with Russia. Meanwhile, the Donbass Republics continue to pursue policies of eventual integration with the Russian Federation, while preparing to militarily destroy any party, regardless of document that enters Donbass seeking to impune their territorial integrity.